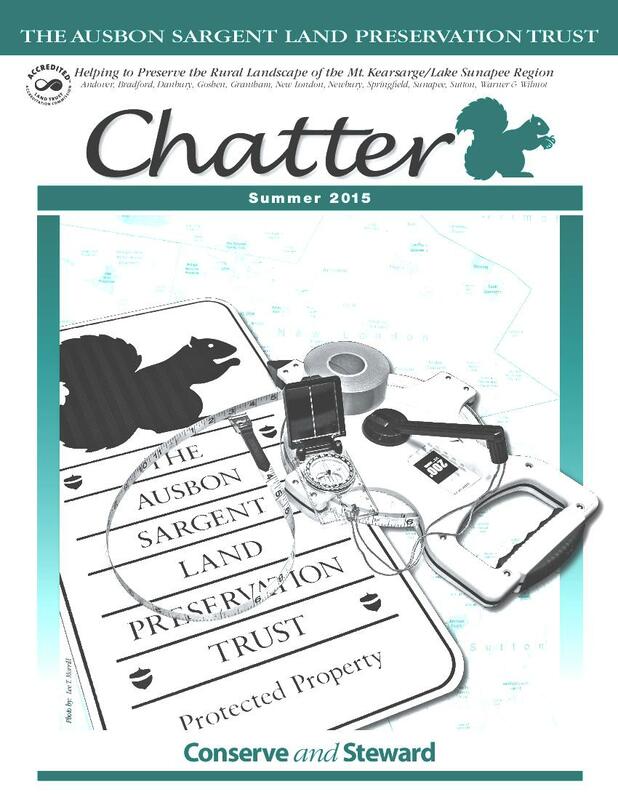 Chatter is the bi-annual Ausbon Sargent newsletter. 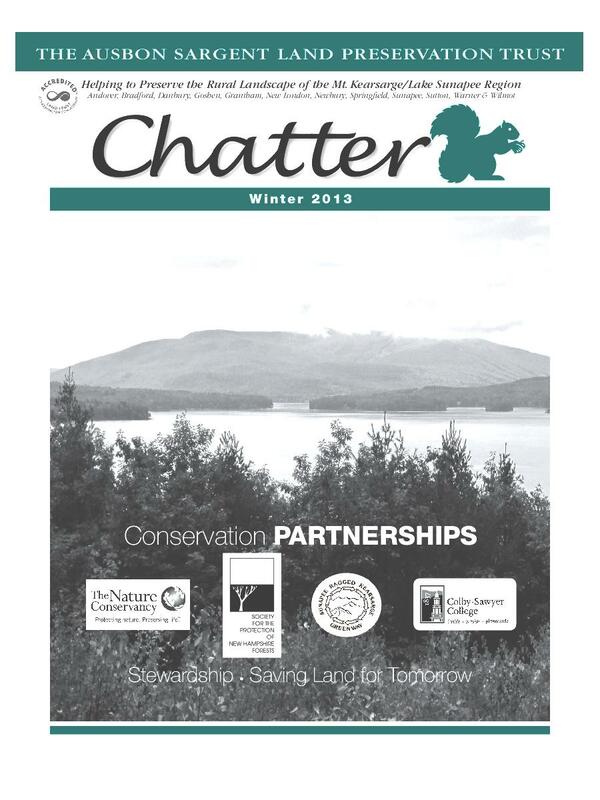 Each edition highlights the latest completed land protection projects and, sometimes, projects that are in progress. 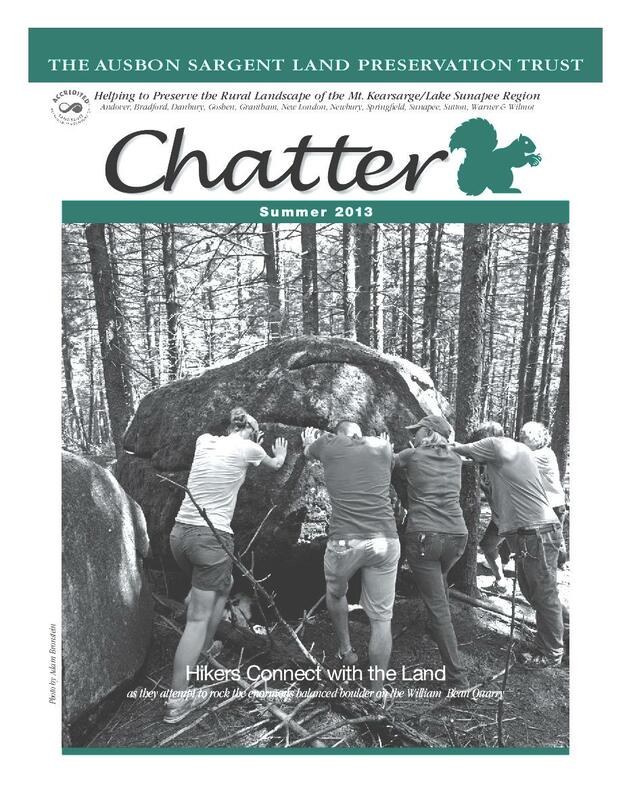 Readers will find general news about the land trust’s management, fund raising and educational activities. 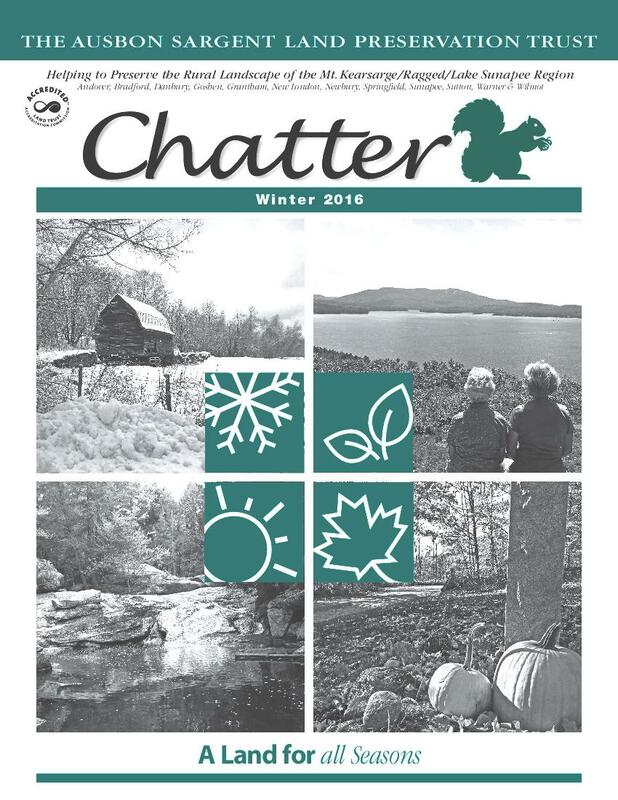 If you have a post office box in our 12-town region, you will receive your issue of the Chatter through the USPS twice a year. 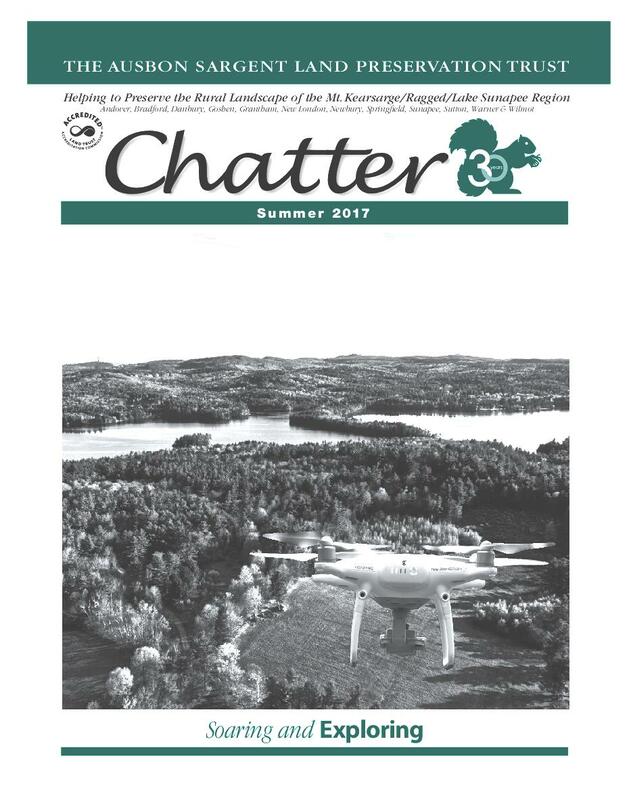 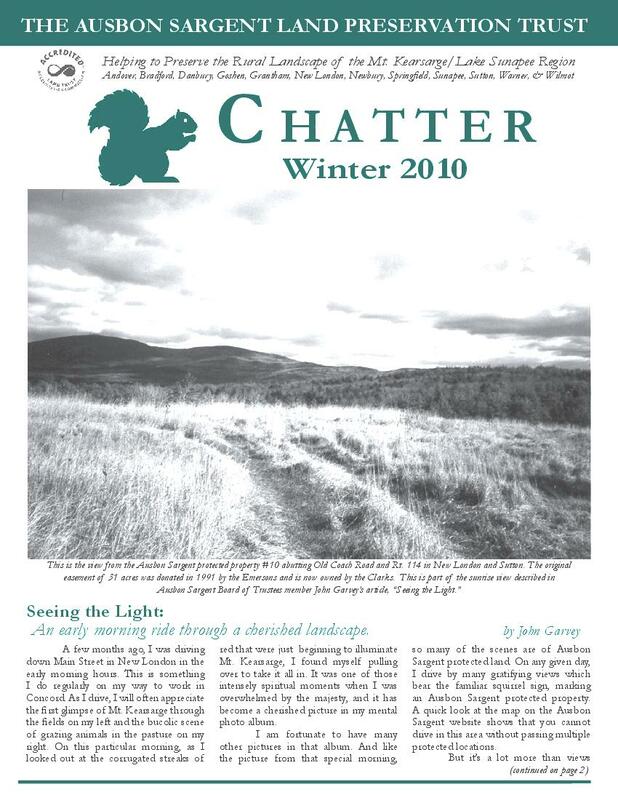 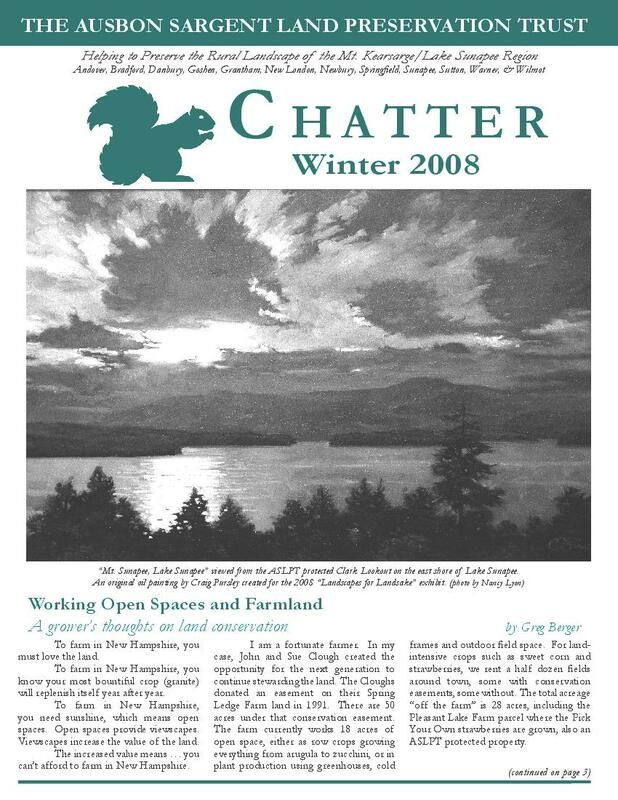 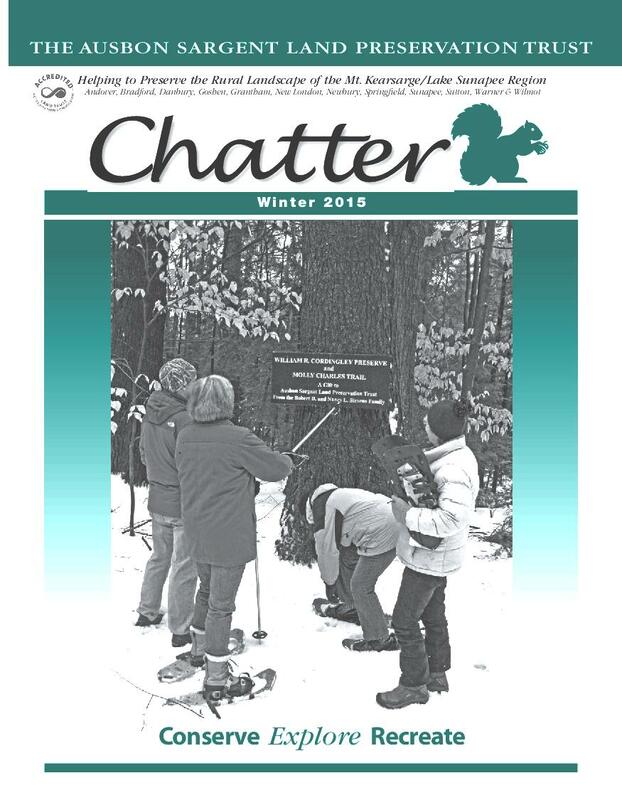 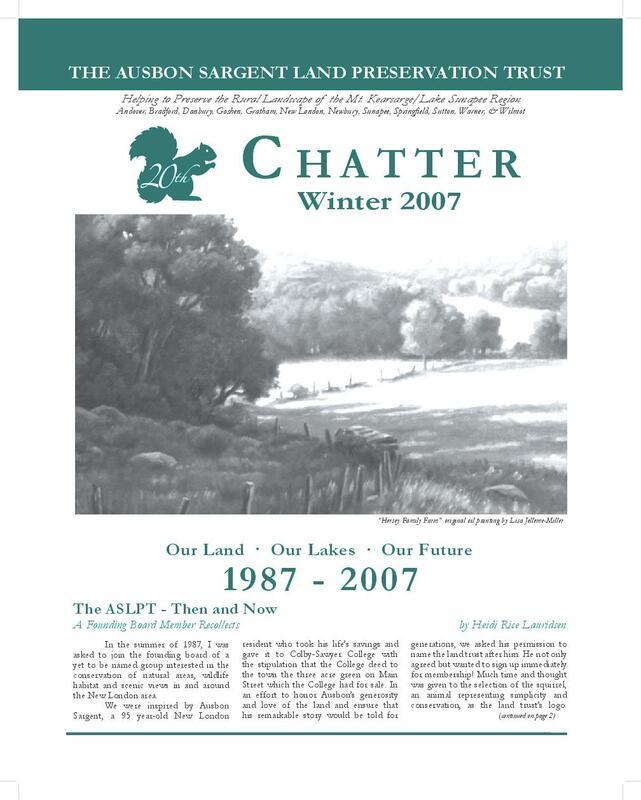 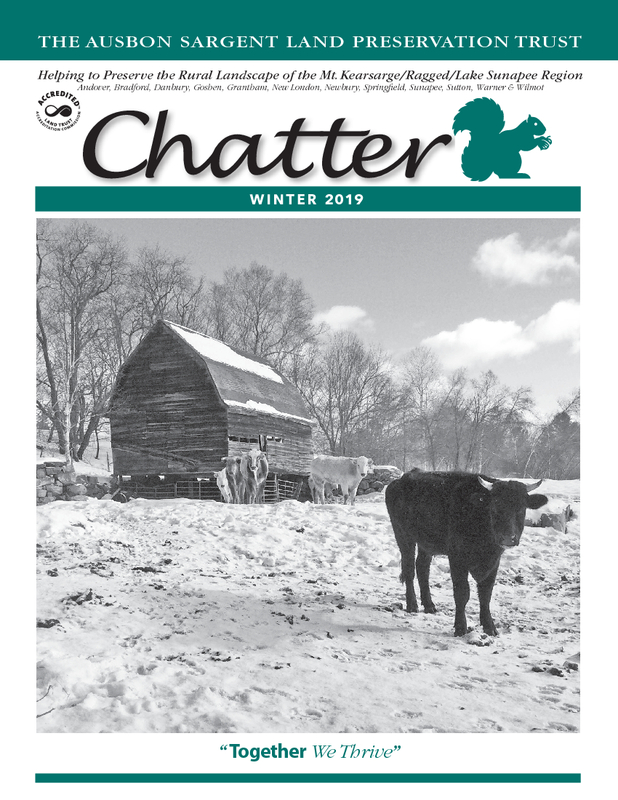 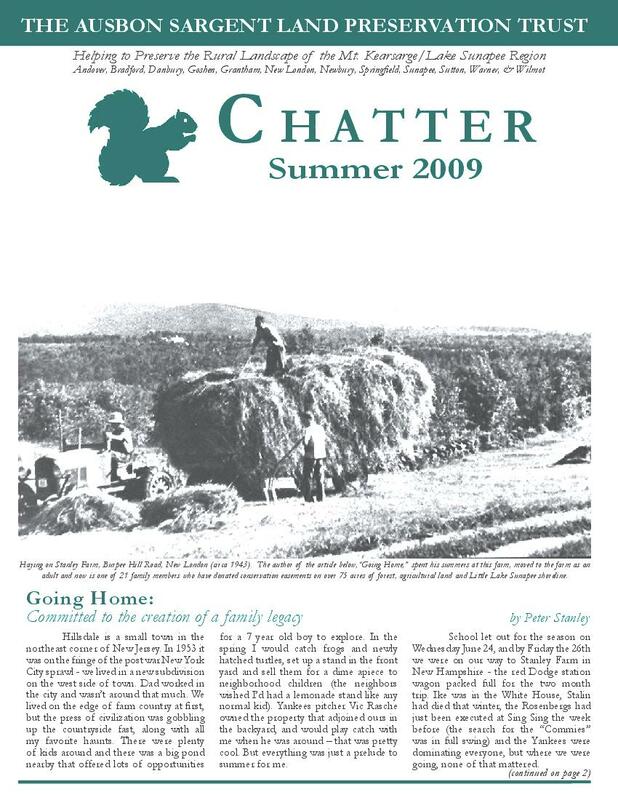 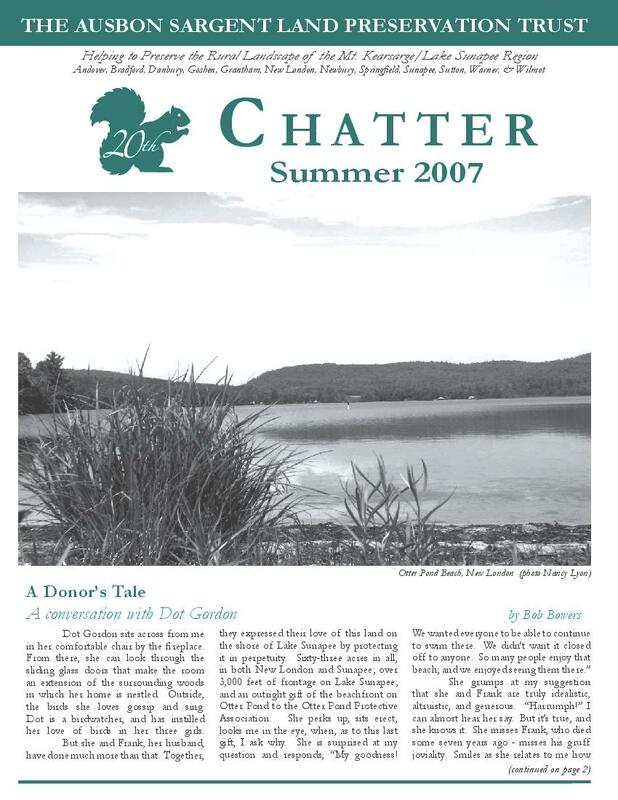 The Ausbon Sargent winter Chatter newsletter is generally mailed in the last days of January, so you should receive your copy in early February, The summer issue generally mails in late June, arriving in mailboxes in the first days of July. 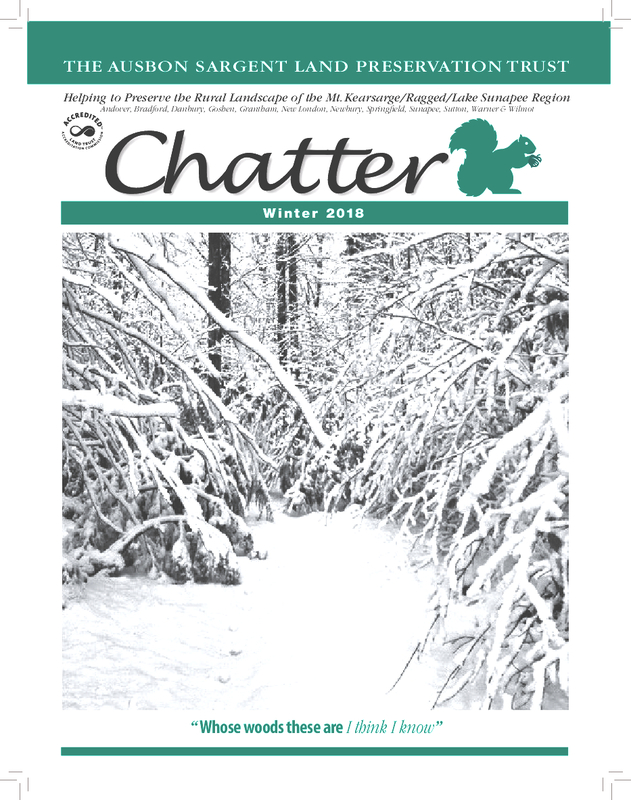 If you don't receive your copy, please let us know. 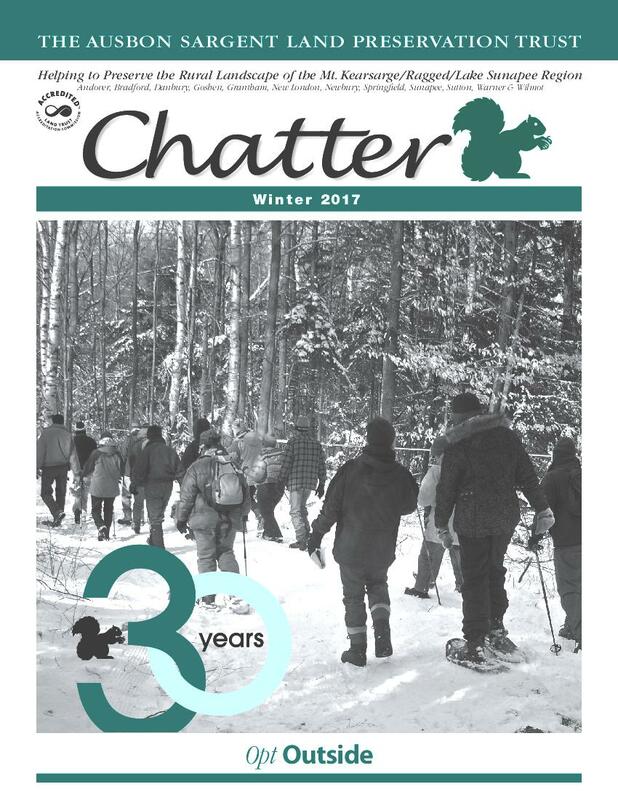 You can also access back issues of the newsletters by clicking on the newsletter icon below to view the issue that interests you. 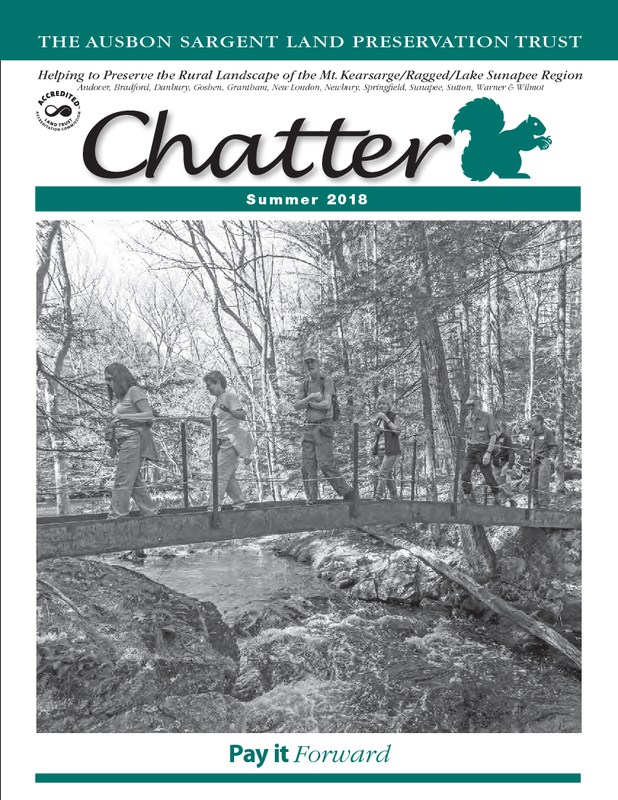 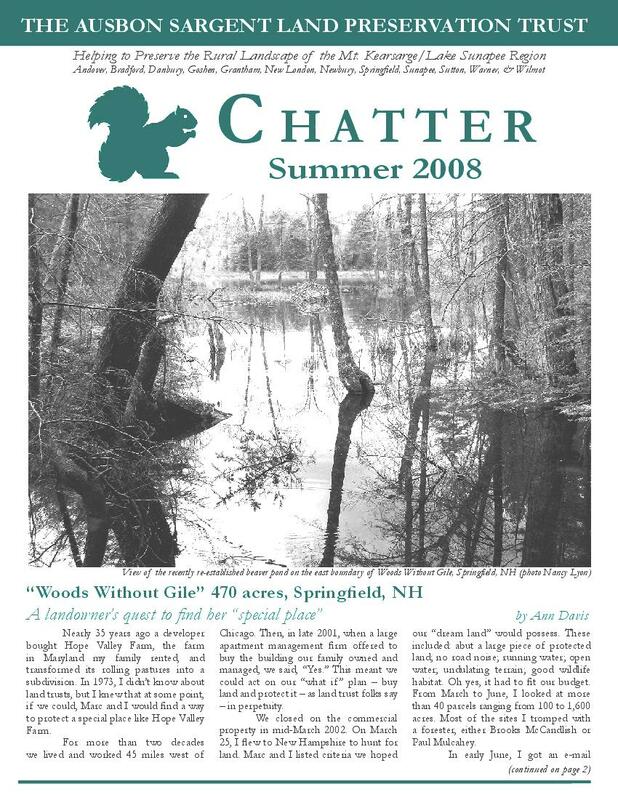 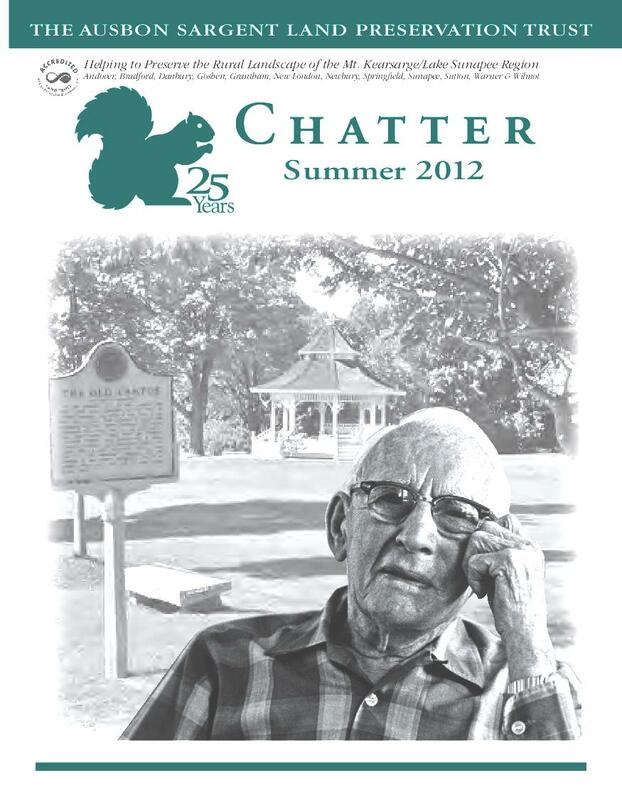 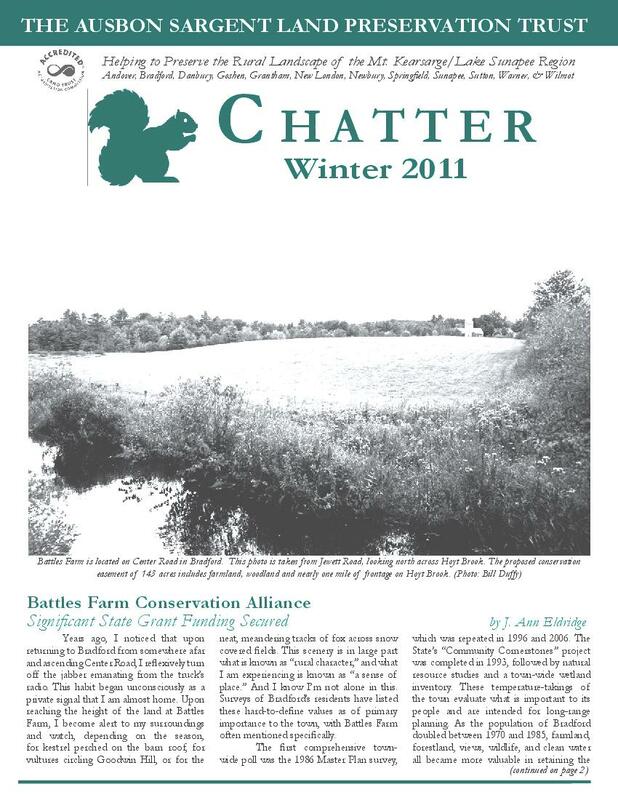 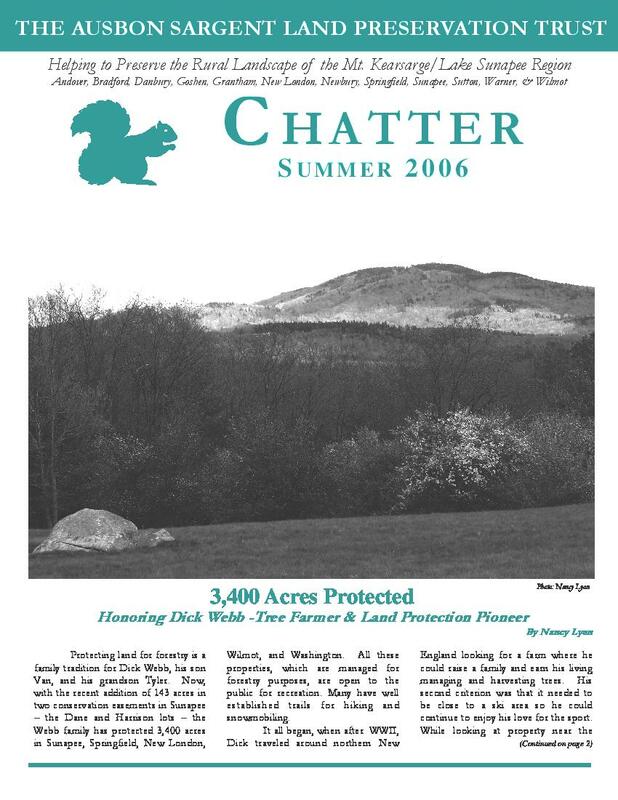 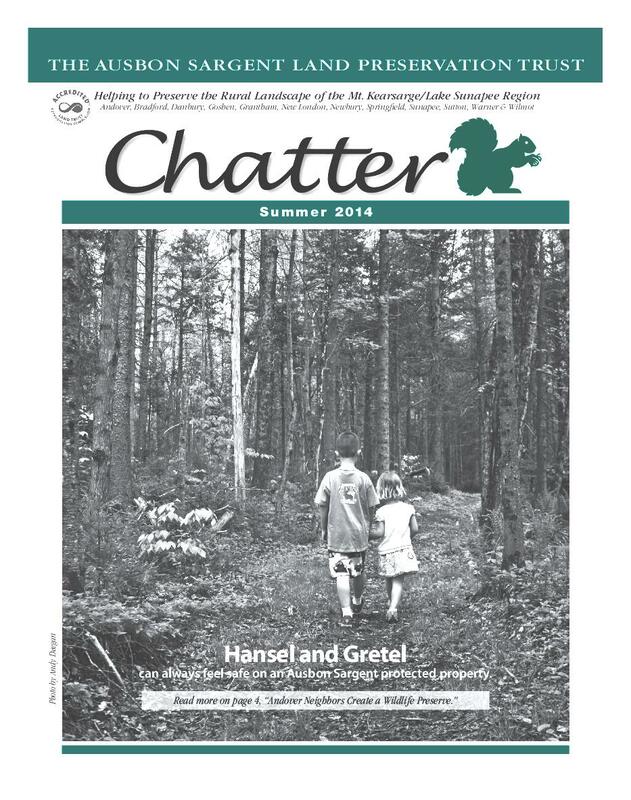 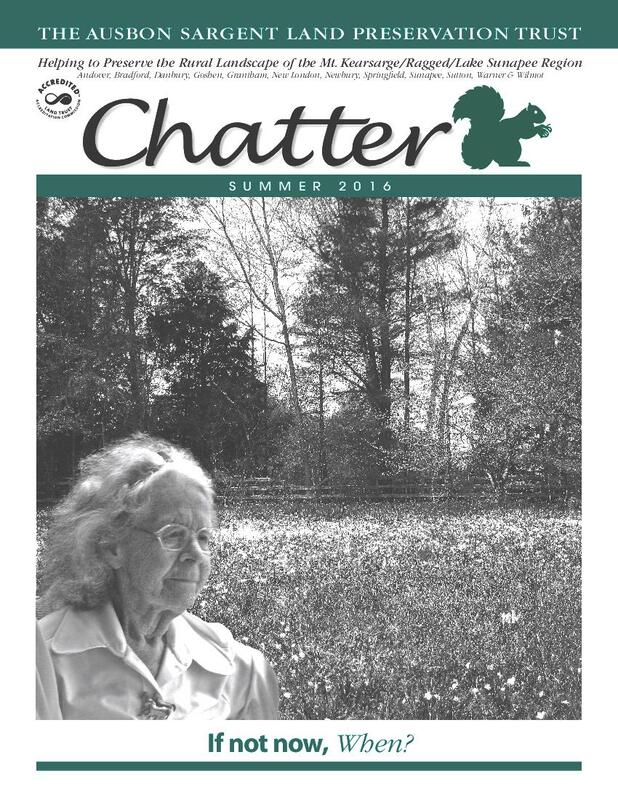 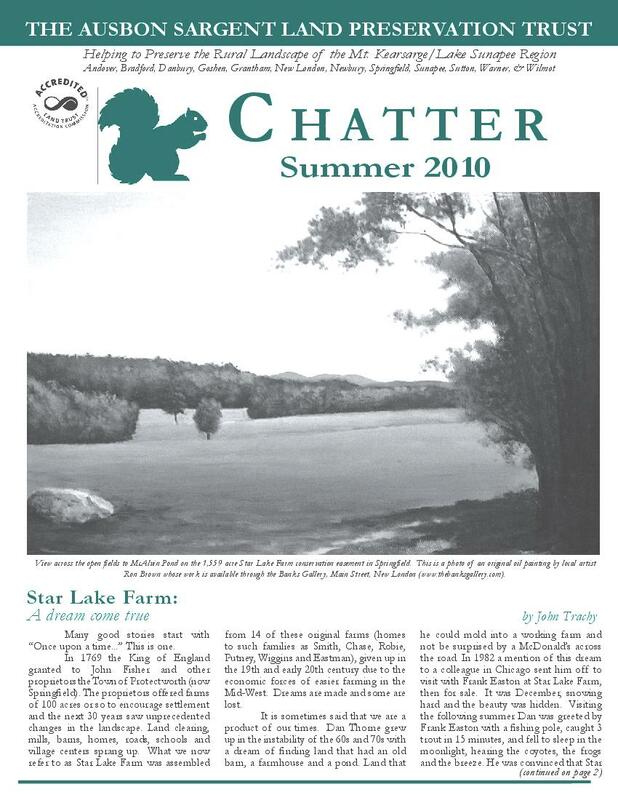 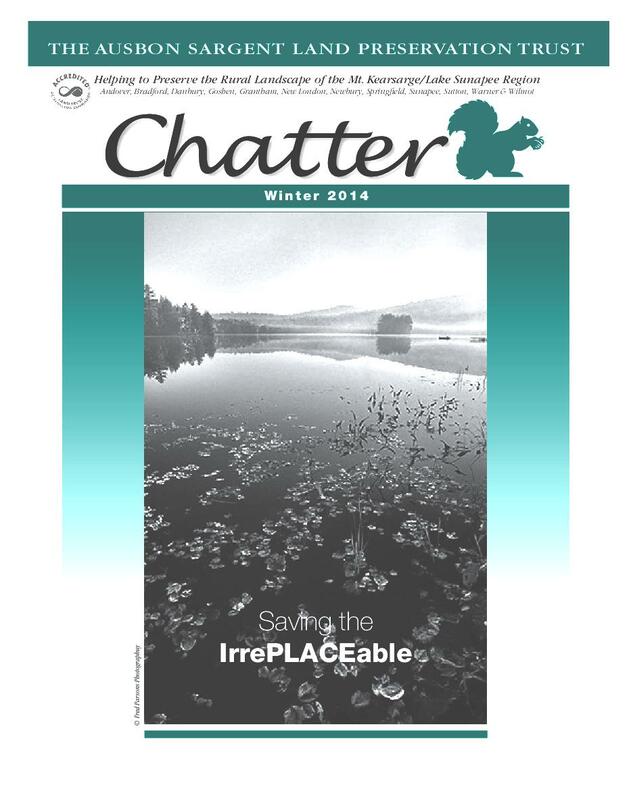 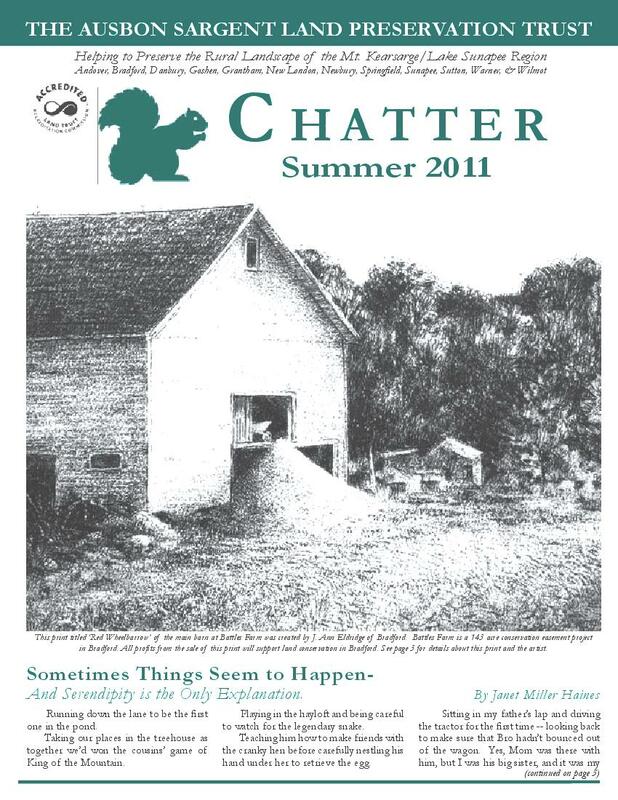 Click here to view the latest version of "Chatter". 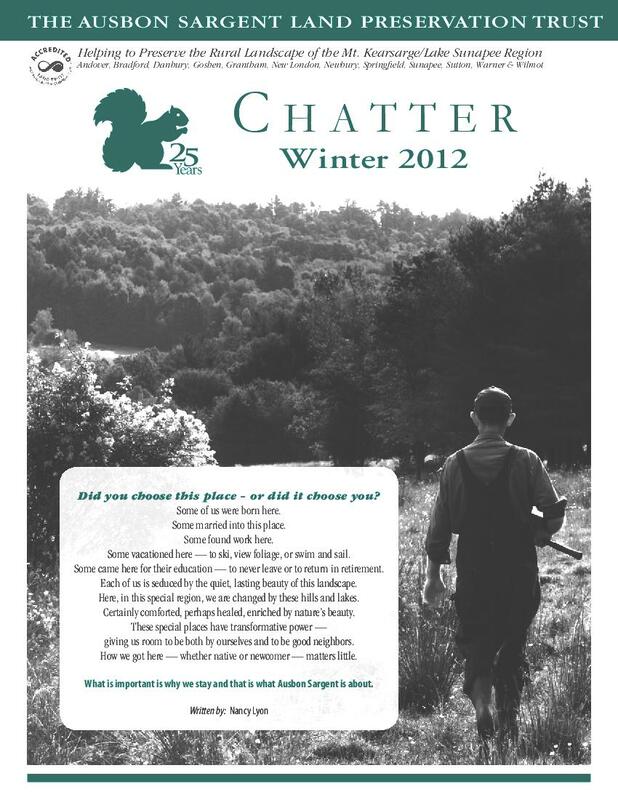 You may also read our previous newsletters listed below by just clicking on the date of your preference.